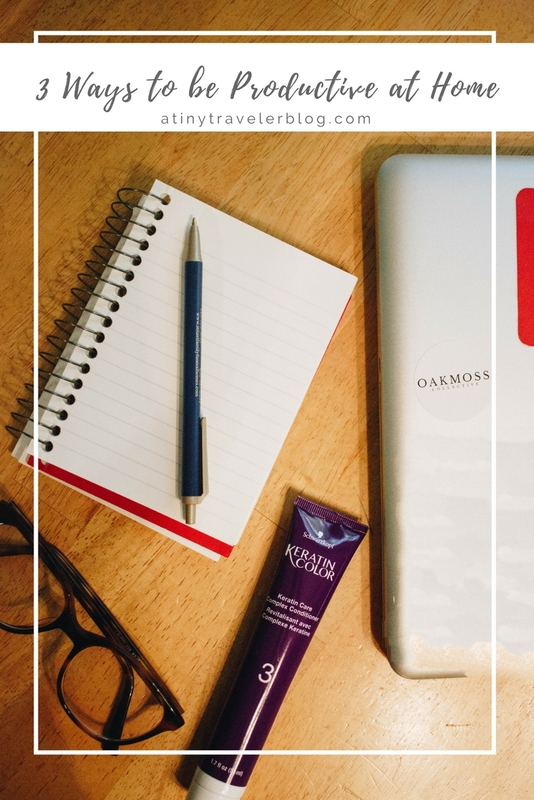 So, for the last year of my life I have been working full-time on creating a business out of Oakmoss Collective. (If you haven't seen yet, you can do so here.) It's been tough, its been exciting, its been a whirlwind. 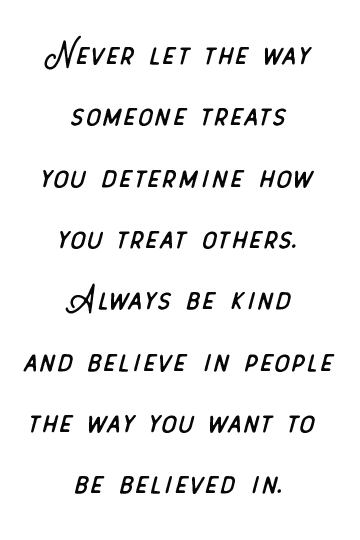 I am so thankful for all the big lessons I'm learning through it all and the in the world of small business. 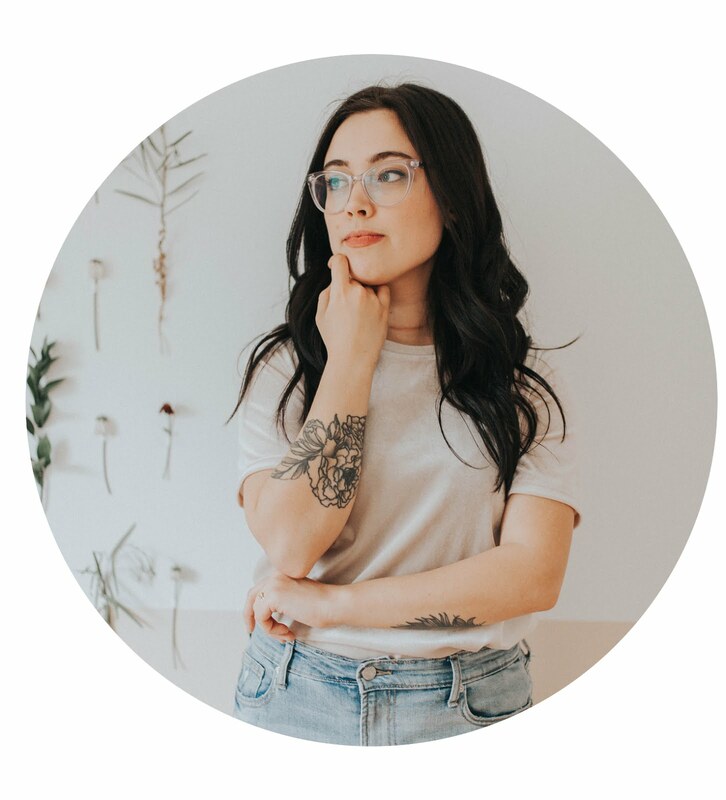 Today, I want to share with you one of the things I've learned over the last year that I never really thought too much about and that's how your work environment affects your productivity! 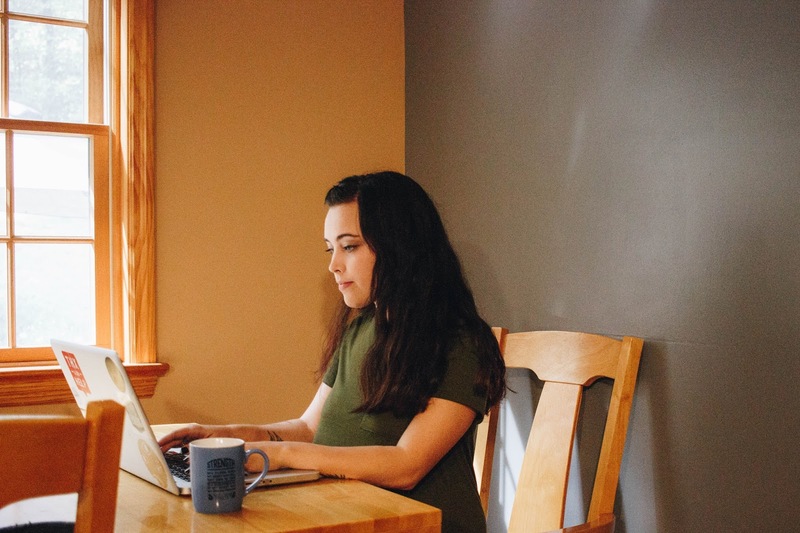 I've found three really helpful ways to stay on top of things when you are your own boss. The first is to make sure you have a good breakfast. Nothing at all, half a cup of coffee, or a leftover slice of pizza aren't going to cut it! You'll be hungry before you know it and then constantly getting up from your work to get a snack, or even worse you won't be able to focus on the task at hand because you'll be thinking about the breakfast you should have eaten. Typically, I eat cereal or fruit and yogurt and have a cup of coffee and a glass of water. Healthy and hydrating! Secondly, you want to get dressed. I can't tell you how many times I lounged on the couch scrolling through Instagram or Netflix in my PJ's until noon. If you want to be productive, you have to act as if you're heading out to a job where it matters what you're wearing. Now, I'm not saying you have to wear a pantsuit or a nice dress (unless you want! ), but at least put on an outfit that you would be ok to run out in/can't double as loungewear. Trust me, you'll feel so much more focused and professional. Last, but absolutely not least, you want your hair and makeup done. Maybe you don't wear makeup; that's totally fine. Wash your face and brush your teeth. If you do wear makeup, put it on at the start of the day. It will help you feel like you've completed your look and you can once again focus on being productive! As for your hair, straighten it, curl it, braid it, top knot, whatever. Just don't walk around with bed head all day. 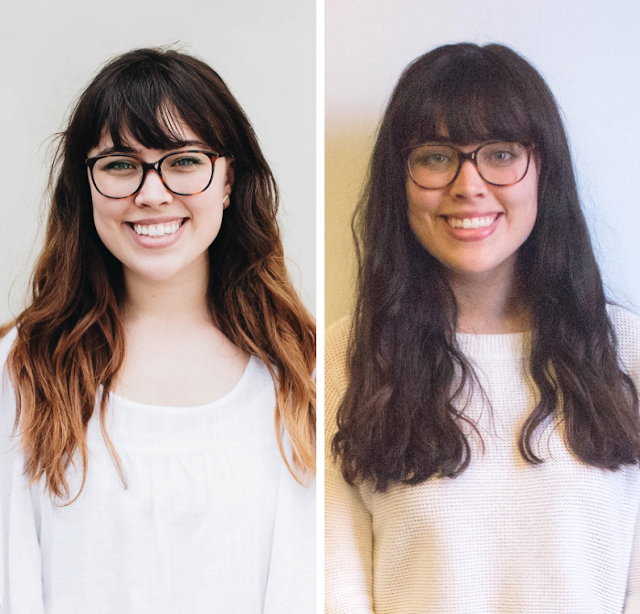 For about the first 4 months of working from home I didn't do much to my hair or with my makeup, and then when I would walk by a mirror I would be like, "Wow she looks tired. Oh yeah. Oops." So off to Walmart I went. I decided to make my appearance a priority in my morning routine, even though I was staying home. I wanted my hair to be bright and vibrant, but also healthy. 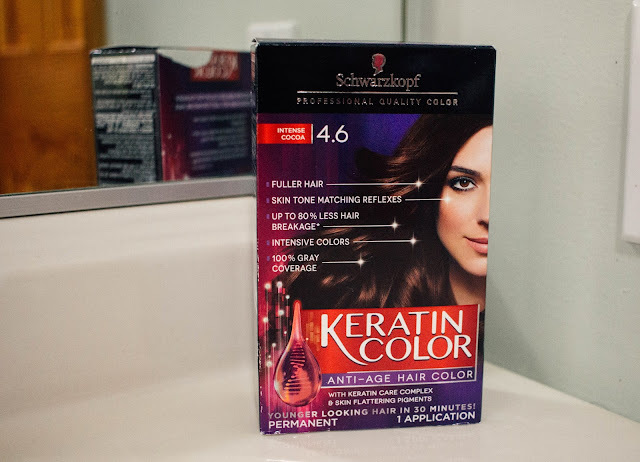 I've tried a few different brands over the years, but when it comes to hair color I've really been liking Schwarzkopf Keratin Color. Professional quality hair color at home that offers flattering colors while caring for the hair. There's less hair breakage than some other brands, and they offer such a great variety of intense colors. There's even a pre-treatment step which most other brands don't offer. Recently I dyed my hair the shade "Intense Cocoa," and I love it! Keratin Color brings out confidence in every woman by gently restoring and augmenting her hair. 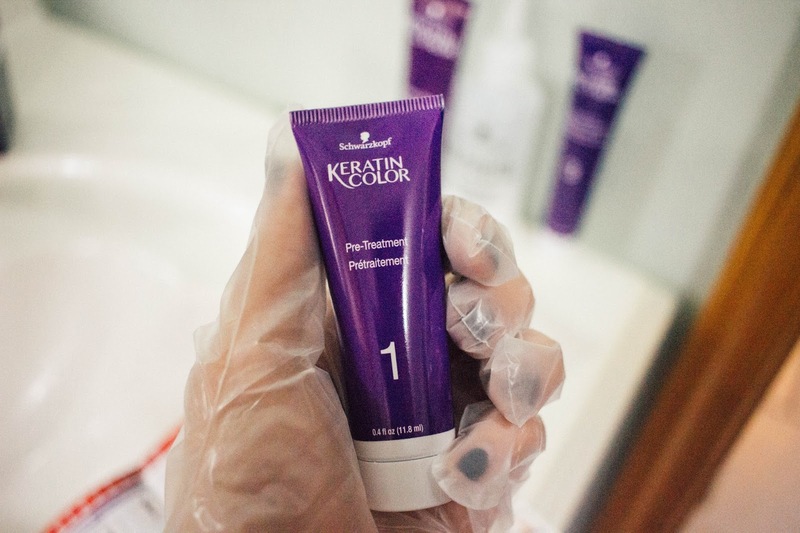 With every purchase of Keratin Color we can also help women get a fresh start through a partnership with Dress for Success®. How cool! Dress for Success Worldwide empowers women by providing them with the tools they need to achieve economic independence. Through education and mentoring, they’re making a difference in your community and across the globe. Over one million women have been served by this international organization and its programs. 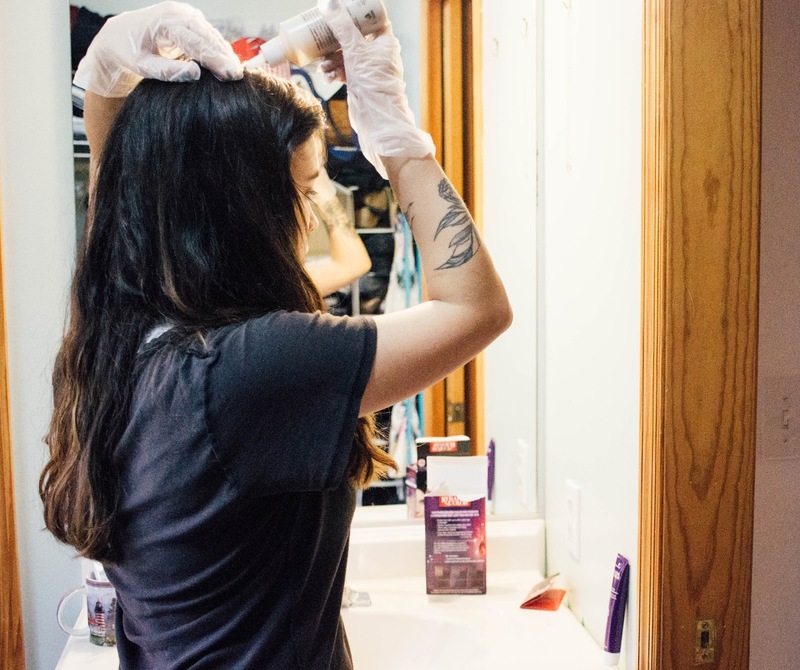 This partnership empowers women looking for upward mobility to revitalize women’s hair and clothing options so they can be as successful as they look. For the fall, I wanted to go darker and get a more natural tone to my hair. Keratin Color covered all my lighter tones and grey hairs perfectly! When you dress for success, you are more likely to accomplish your goals and succeed! "Dress for the job you want," right? When working from home, I always have better days when I am dressed and ready to go rather than lounging in my pajamas on the couch. I love that not only am I sprucing up my hair with Keratin Color, but I am helping other women in the process as well. 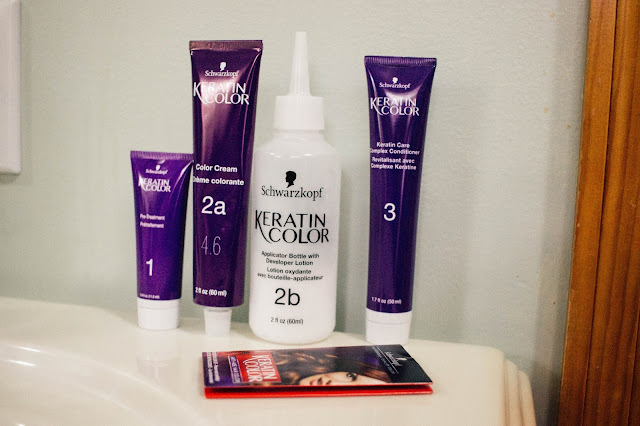 If you want to try out Keratin Color, you can save $2 here and also be sure see what other great products Schwarzkopf carries! Grab your coupon to try it free today! How are you dressing for success and staying productive today? Share with me in the comments below!